Is the Agriculture Industry Ready to Combat Climate Change? The agriculture industry is a large contributor to climate change. In the last 50 years, greenhouse gas emissions from fisheries, livestock and agriculture nearly doubled and could continue to rise in the future. 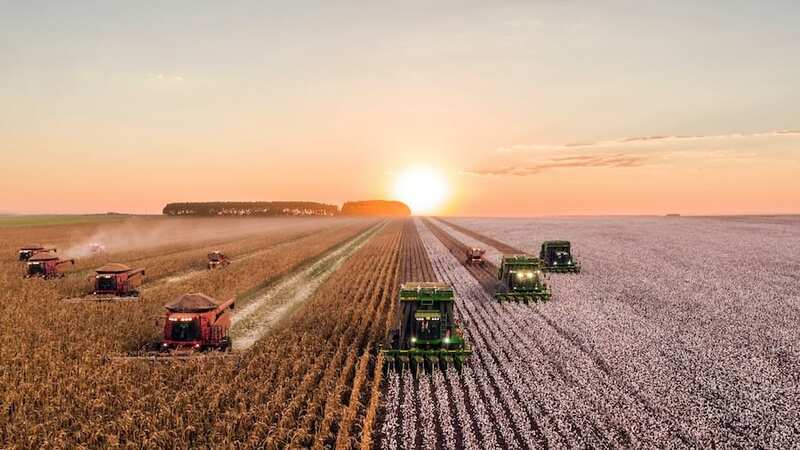 Agriculture will also be one of the industries hardest hit by climate change, as global temperatures rise and weather patterns become more erratic. With a growing world population, it’s more important than ever that we develop sustainable agriculture systems. These systems need to withstand climate change while also producing enough to ensure food security for a hungry population. Though it’s going to take a lot of work for the agriculture industry to adapt and combat climate change, farmers are becoming better equipped to protect the environment. Improved environmental stewardship could have huge impacts on climate change and human quality of life in years to come. Here are four ways farmers are improving their methods to grow more crops while healing the planet. Agricultural expansion is one of the driving factors behind deforestation. Though cutting down trees can give farmers more land to work with, it negatively impacts the environment in a number of ways. First, trees absorb a lot of carbon dioxide from the air, storing carbon and helping to prevent climate change. Trees also prevent erosion along riverbanks and protect water sources from agricultural runoff. Farmers can fight climate change and protect vital water sources by learning methods for using farmland more efficiently and planting trees on the surrounding land. In places like the tropics, where trees are often cleared to make way for farmland, small farmers are making a difference by improving soil quality to produce more with less land. Today, most farming operations use manufactured fertilizer. While these formulas provide essential nutrients to crops, their production contributes heavily to climate change. Fertilizer manufacture is the second biggest contributor to greenhouse gas emissions in the entire food system. And in some places, manufactured fertilizer is prohibitively expensive. In order to give plants nutrients without contributing to climate change, farmers might use organic fertilizer. People began using organic fertilizer, such as manure, as early as 8,000 years ago. Today, farmers use compost, manure and other organic fertilizers to fertilize crops while saving money and sinking carbon back into the soil. Additionally, innovative farmers can use a method called no-till farming, which involves leaving unharvested plant stocks in the ground, to replenish nutrients in the soil while also storing carbon from leftover plant matter. Though the ground will eventually become fully saturated, this is a good opportunity to reduce carbon in the atmosphere until that point. A changing climate will make food production more difficult in certain areas. In order to provide enough food in these conditions, farmers may need to rely on genetically modified crops. By planting crops designed to resist drought, disease and pests — problems which will become more common as global temperatures rise — farmers can continue to grow crops even as the surrounding environment becomes more hostile. Climate change will also increase water scarcity in certain parts of the world. Scientists are already seeing some areas hit by drought. In order to combat the effects of climate change already taking place, farmers are working to conserve water resources. There are a number of ways food producers can use less water to grow their crops. They can use drip irrigation instead of spray irrigation, use compost and mulch and, when necessary, grow some crops without irrigation at all. Climate change is a serious threat to human lifestyles and food security. The agriculture industry will need to make big changes to adapt to shifting conditions and prevent further climate change. In years to come, better agricultural practices could help provide a more sustainable food supply for a growing population.